Fighter stamp is to indicate that you are a real fighter. 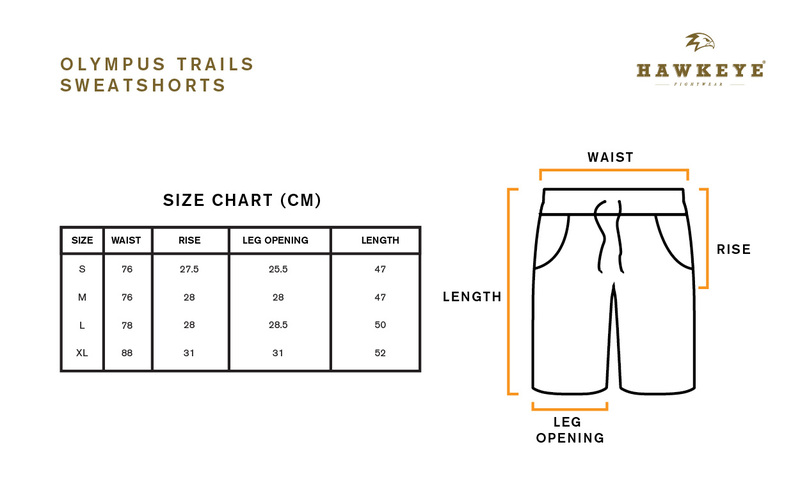 Olympus Trails sweatshorts collection designed with premium Super Lightweight Cotton fabric from Indonesia cut in a silhouette that hits above the knees. An elastic waistband features an adjustable exterior drawstring for a comfortable fighter fit, complete with side and back welt pockets, Hawkeye logo woven on the side legs, and an Olympus Trails woven logo label at the hem.